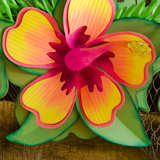 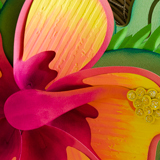 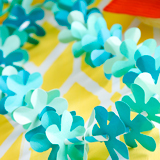 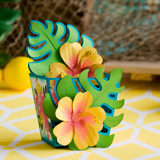 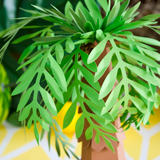 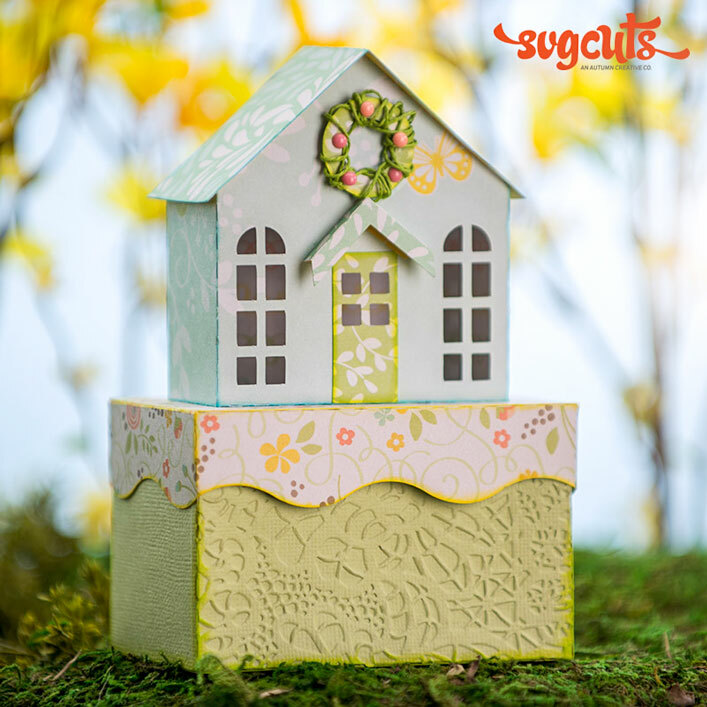 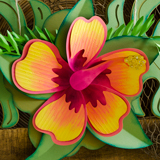 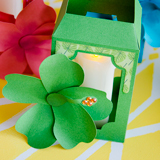 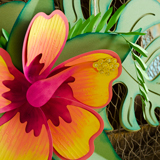 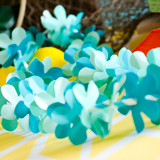 Make your Summer colorful and festive with EIGHT new projects for your cutting machine! 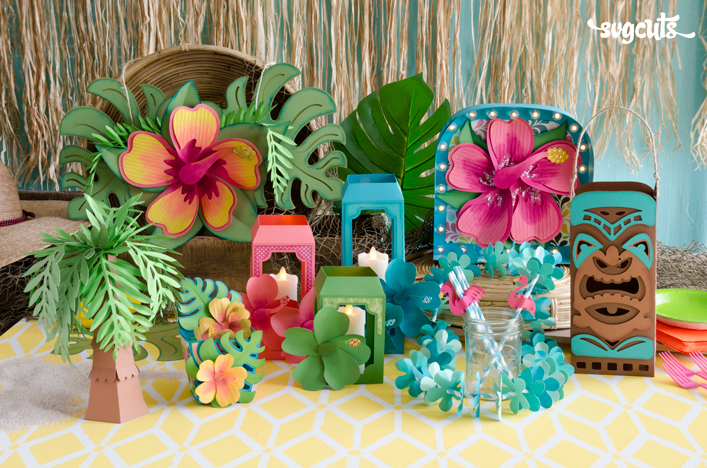 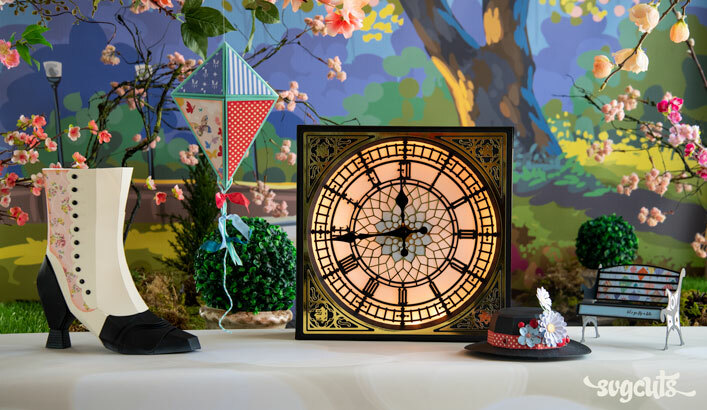 You get everything pictured, including the Flamingo Straws, Hibiscus Marquee Sign, Lantern Trio, Lei, Palm Leaf, Palm Tree, Tiki Bag, Tropical Banner and Tropical Bucket! 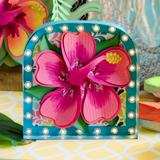 Get creative with your colors, embossing, glitter and bling! 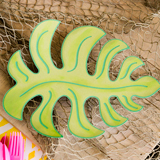 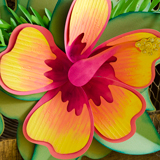 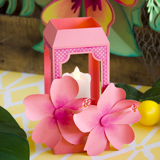 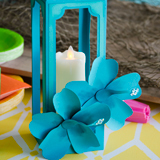 Turn your next gathering into an amazing Luau Party or just decorate your porch for Summer! 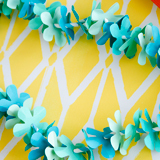 Also perfect for girls' bedroom decor. 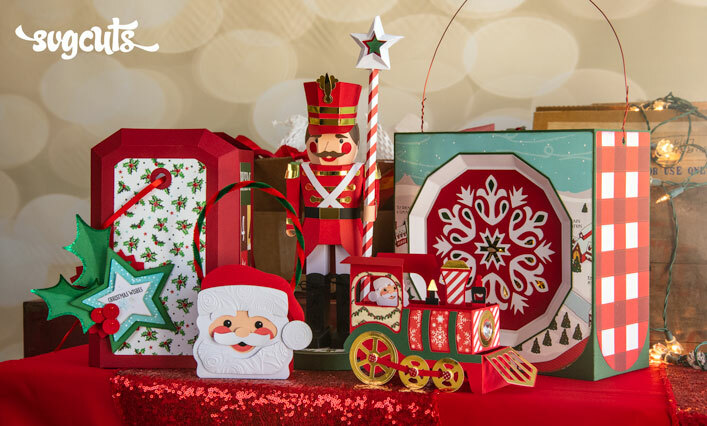 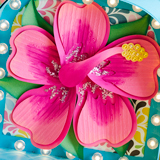 Lights for Marquee Sign are available in craft stores such as Michaels, and online at Amazon. 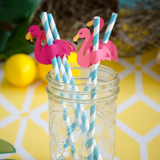 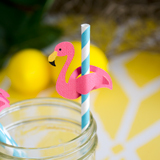 Flamingo Straws - 2 x 2” - fits onto standard straws. 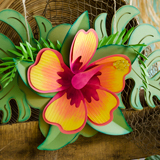 Hibiscus Marquee Sign - 10.5 x 10.5 x 4”. 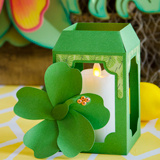 Lantern Trio - 6.5” tall, 8.5” tall and 11” tall each with 4x4” bases. 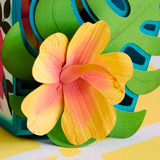 Lei - 24” long. 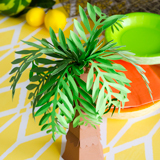 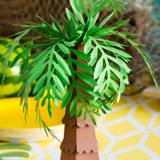 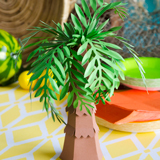 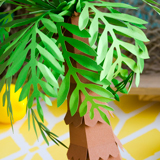 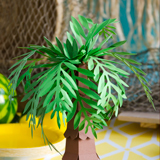 Palm Tree - 12” tall and about nine inches wide. 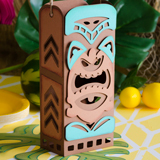 Tiki Bag - 5 x 11 x 3” (not including the handle). 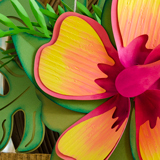 Tropical Banner - 20 x 15”. 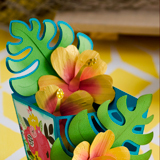 Tropical Bucket - 4.5 x 7 x 4.5”. 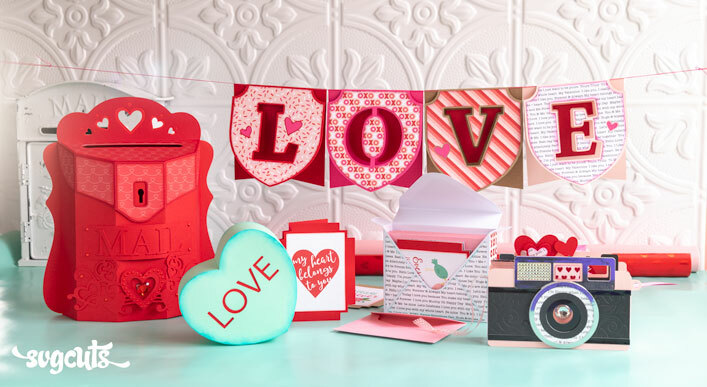 American Crafts ("AC") card stock paper and the Summer Fun Paper Collection by Echo Park Paper Co. All “bling” is from Queen & Co (Droplets, Quartz Stones and Irridescent Bubbles. 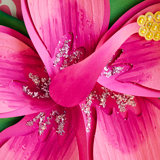 All inking was done with Colorbox Ink Pads. 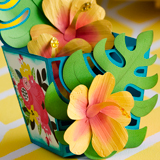 Embossing folders used are Notebook by Sizzix and Perfect Palm by Echo Park. 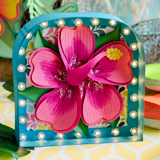 The Hibiscus Marquee Sign uses Heidi Swapp Marquee Love Lights from American Crafts. 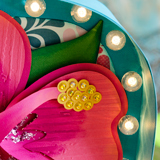 You can either use the Small .5” 24 Bulbs and Lights Combination Package (369818) or the 24 Clear Bulb Caps (369554) with One Light Strand (369550). 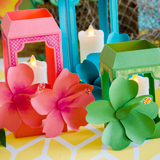 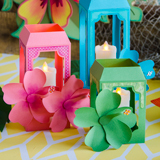 The candles inside the Lantern Trio are from Hobby Lobby (Mirage 2” wide LED Wax Candles 3 Pack - 3, 4 and 5 inch heights - CM11754CR). 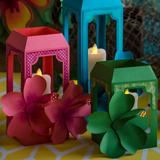 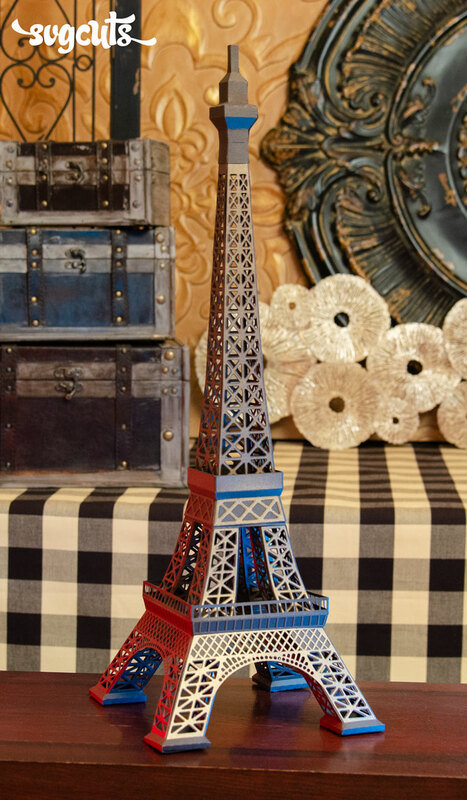 You can also use wider candles, such as this three-pack sold on Amazon - they’re 3” wide and 4, 5 and 6” heights. 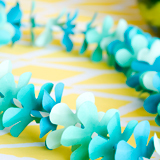 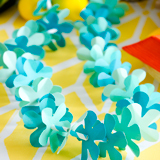 The Lei uses six standard-size paper straws. 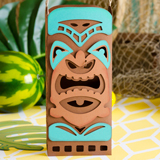 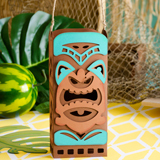 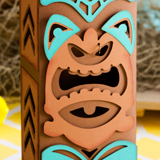 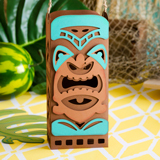 The Tiki Bag uses a tiny bit of craft wire (nose ring) and wired twine for its handle.